The charming ski resort of Val Thorens is part of the 3 Vallées ski area and rises 2300 meters above sea level: this place holds the record for the highest ski resort in Europe. 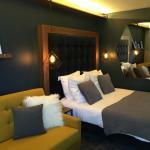 Located in the Savoie region, at the foot of the French Alps, it offers more than 600 km of slopes. Try the steep peaks of Pointe du Bouchet and Cime de Caron, about 3200 meters above sea level, and do not miss, among the various types of lifts, the so-called funitels, including the Péclet Funitel, the first built across the continent. In addition to the classic ski slopes, you can also work out with snowboarding, at Val Thorens Snowpark, about 70 000 square meters large, where you can experience the bordercross tracks, the quarter pipe or attend a course of freestyle. During the summer you can enjoy many leisure activities in contact with nature such as cycling and trekking, led by experienced local guides. After a long day skiing, there is nothing better than the Val Thorens Sports Center where you can relax with a turkish bath or at the hammam. 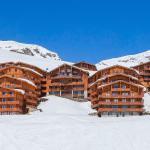 Hotel des 3 Vallées, cozy 3-star hotel, is well located in the heart of the picturesque ski resort of Val Thorens, surrounded by shops and public buildings and overlooking the ski slopes. 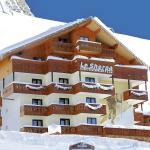 Located in the heart of Val Thorens, Le Sherpa Val Thorens Hôtels-Chalets de Tradition offers a warm welcome in a building in typical alpine style overlooking the famous Trois Vallées ski area. 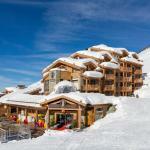 Hotel Le Val Thorens is located in the heart of the ski resort, near the ski slopes. 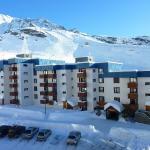 Val Thorens offers a quiet and sunny setting. 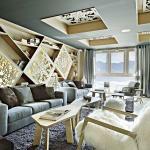 It is located next to a shopping center, a sports center and ski school. Mercure Val Thorens Hotel is located in a beautiful location at the foot of Val Thorens, at 2,300 meters above sea level, in the heart of the Three Valleys ski area. Chambéry-Savoie Airport is located 67 km away.